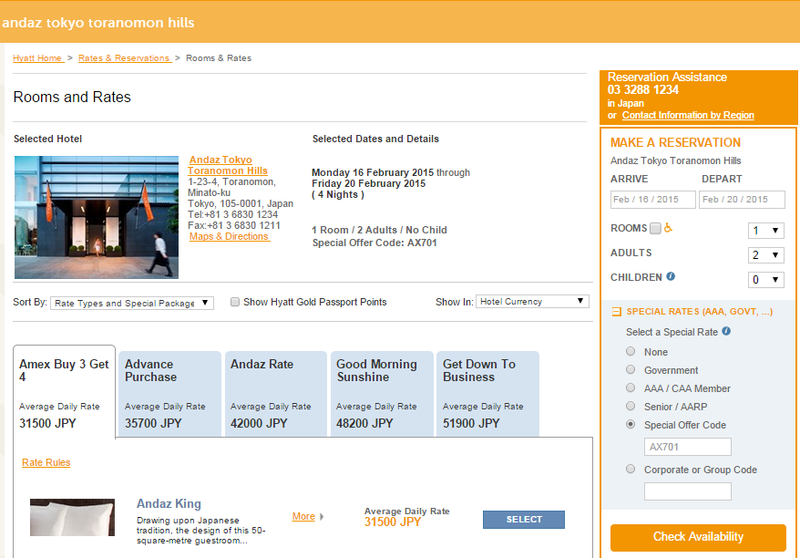 Although the Andaz Tokyo Toranomon Hills hotel has opted out of allowing the use of Diamond Suite Upgrades (the ability for Diamond members of the Hyatt Gold Passport loyalty program to upgrade any paid booking to a suite four times a year), Hyatt agents were allowing their use during the initial hours after the start of the opening of reservations for this hotel. 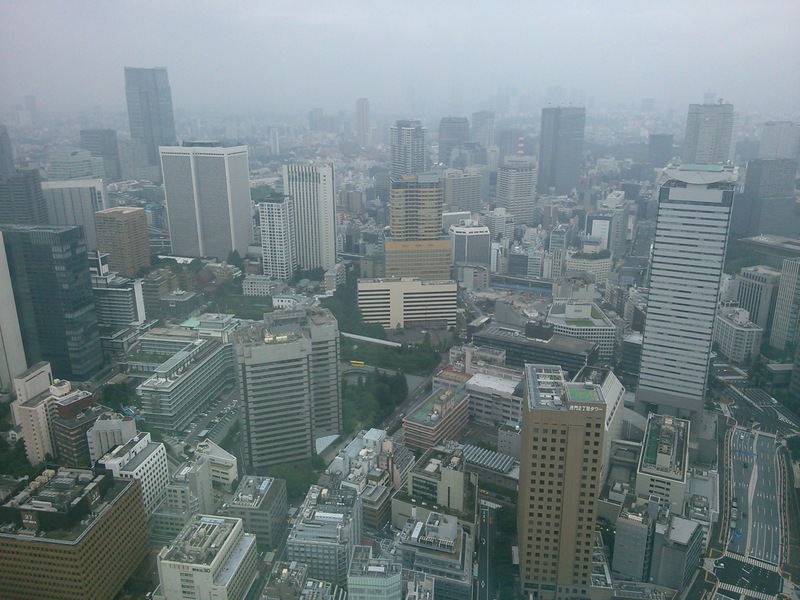 I took advantage of this to upgrade a reservation for this past three day weekend, for what will likely be my only stay in an Andaz Tokyo suite. Which is too bad, because it is really, really, really nice! Beyond the entrance of Room 5036, your kingdom awaits! Because the suite came with a big bowl of cherries and a bottle of wine, I decided to forgo the Diamond Amenity (eclairs from the pastry shop) to just collect the additional 1000 points. I cannot quite fit the living room, bedroom, and bathroom area all in one shot, but the bathroom is dark while the other rooms are bright and beckon for your first attention, so let’s focus on those first. 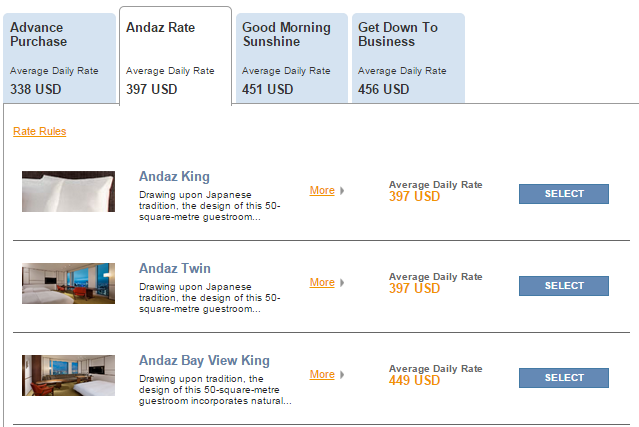 As you may recall from Andazamania, I was not a big fan of the blocky white walls of the bedroom of the regular room. Well, they make their appearance here in the living room, but for some reason it seems to work much better in this environment. Maybe because there are things like televisions and big pieces of art to break up that “trapped in a mental institute” vibe I got from the other bedroom. 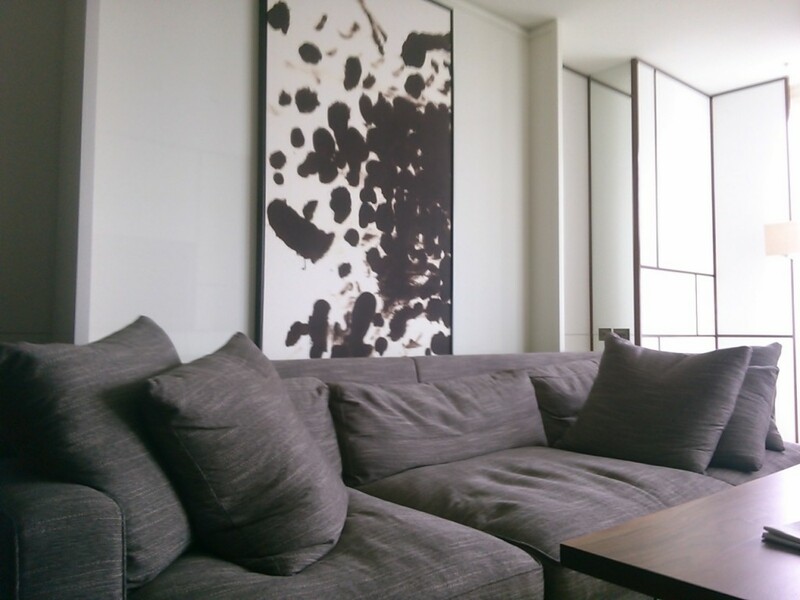 This huge sofa is very nice for relaxing and watching the television. I fell asleep twice on this. 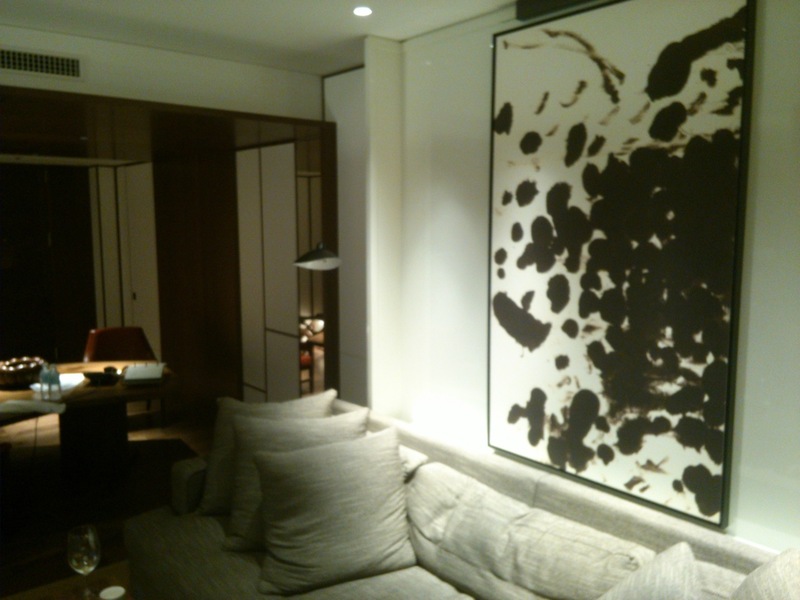 The big artwork in the corner leads to another angled window with additional views, including that of your own suite! 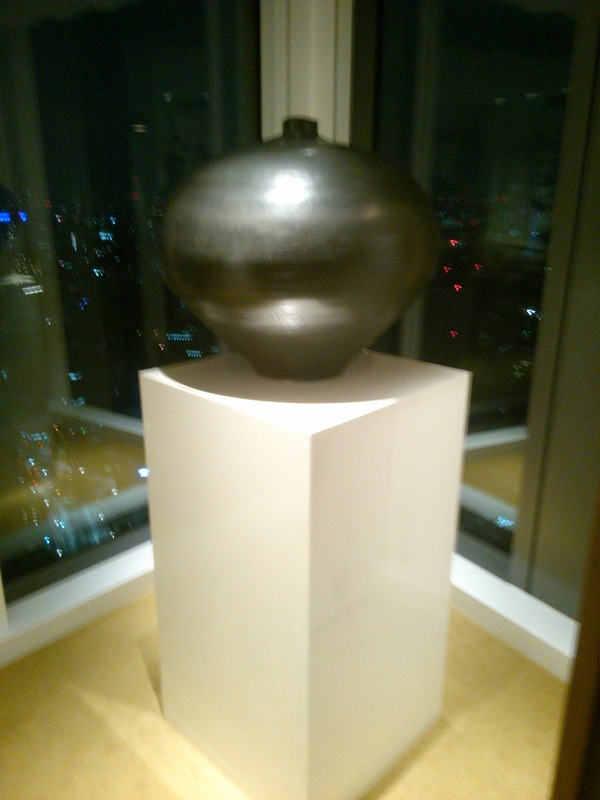 Go behind this vase and do the Titanic pose. You know you want to. For people that like to spy on themselves. In addition to many views of wide open spaces, there are plenty of little nooks and crannies to appeal to chasmophiles as well. Excellent for a game of hide and seek. 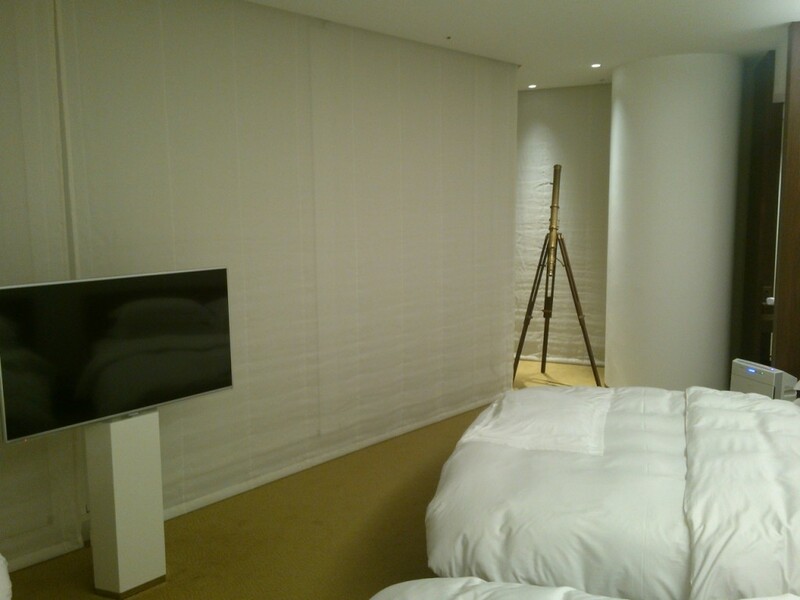 I was very happy to see that the suite bedroom does away with the blocky wall patterns. 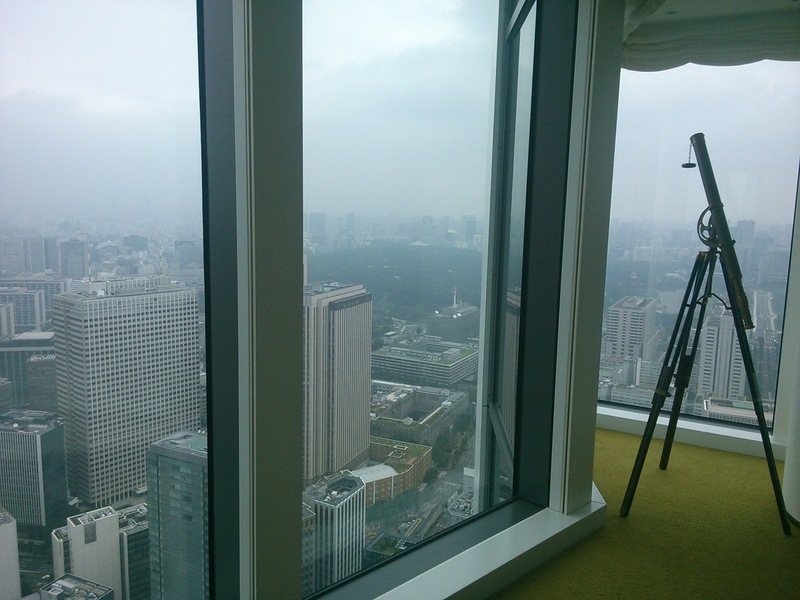 Just a simple white wall that takes nothing away from the MASSIVE window overlooking the Tokyo cityscape. 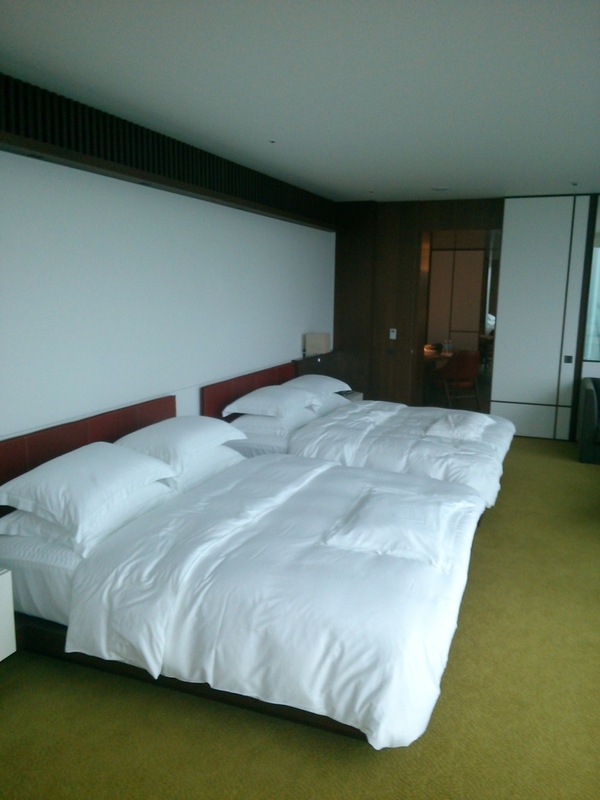 Now this is a room made for sleeping! 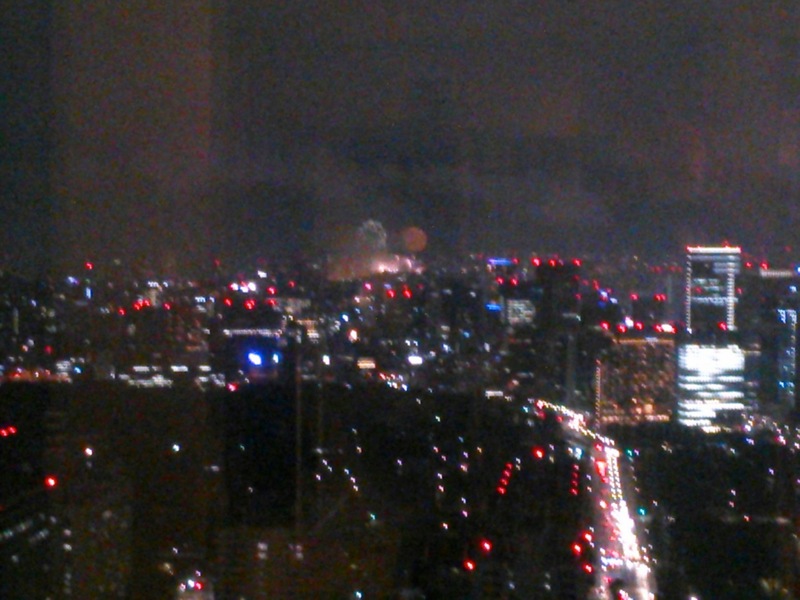 That is, when you’re not peering out over miles of cityscape and contemplating the meaning of life. 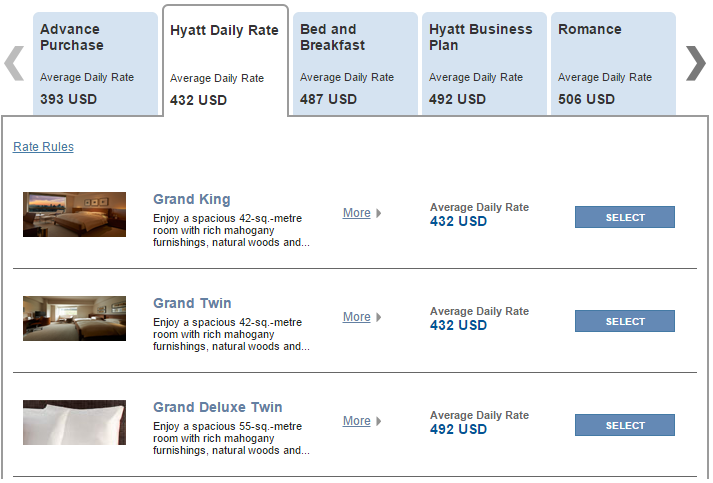 They’re advertised as king-sized beds. Not sure about that, but definitely larger than twin. 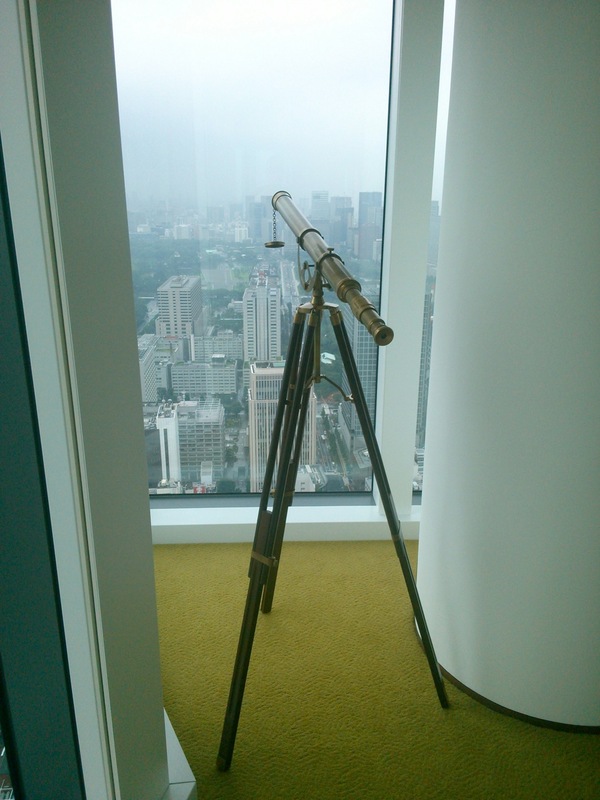 No, you’re eyes weren’t deceiving you: you have your very own brass telescope at the far end of the room! You’ll spend a lot of time tightening the screws on it to keep it upright on its own. 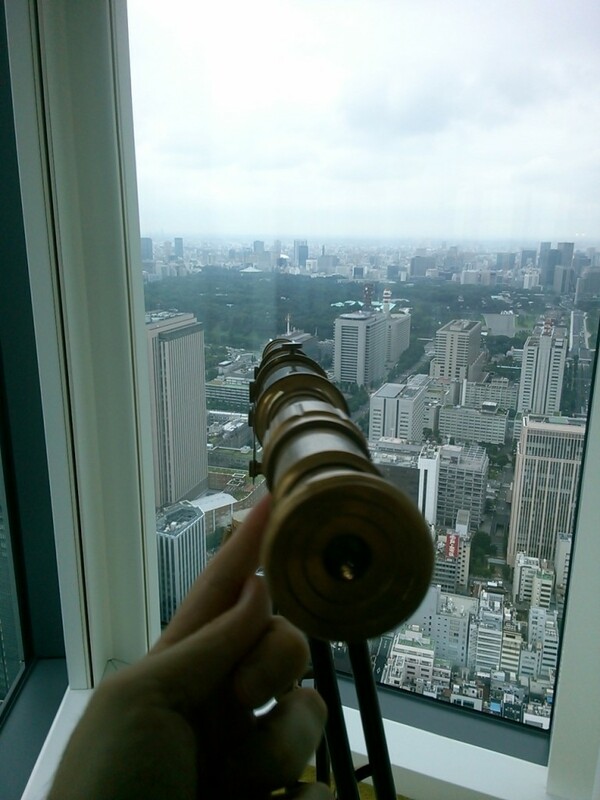 Not good enough for peeping toms, but good enough to be interesting. This will come in handy at nighttime. You’ll see why a bit later. Sorry that the desk didn’t quite make it into this shot. It was a little dark, so I’m afraid my cell phone didn’t get great pictures of this room. 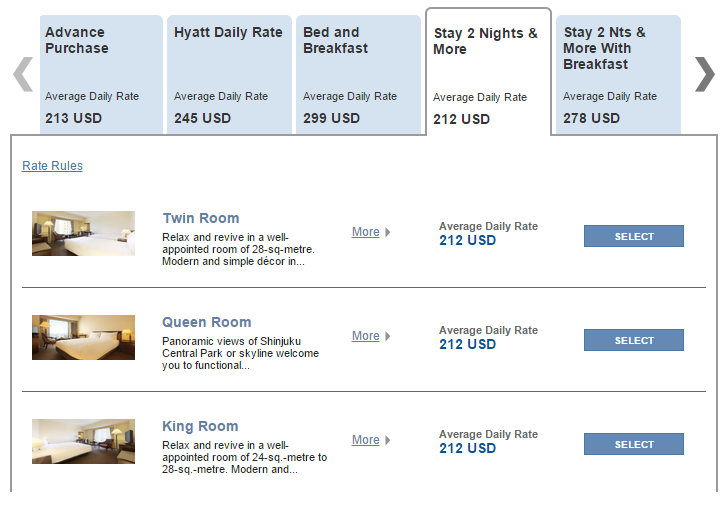 It’s not too much different from the regular Andaz room bathroom, just done on a larger scale. 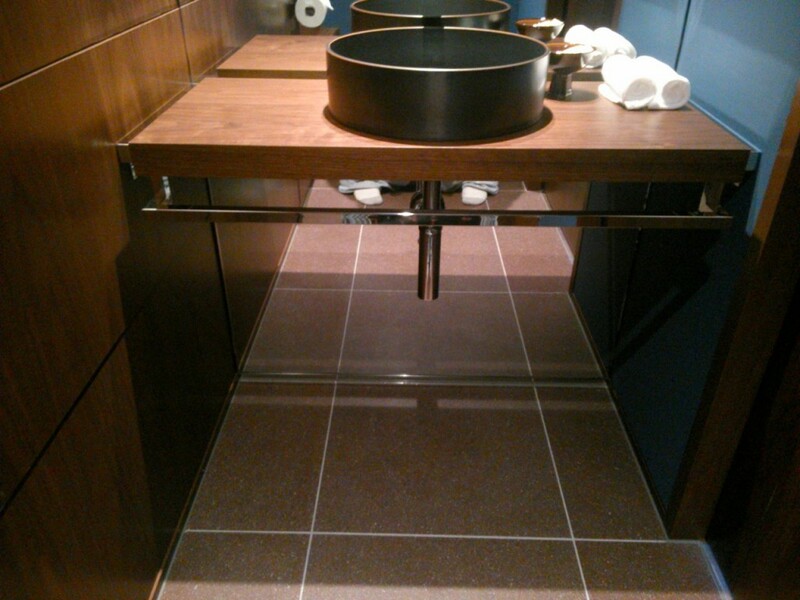 The two sinks are on opposite sides of the bathroom, in case you need maximum distance from your partner. The bath is pretty much identical. Personally, I would prefer a tub that I could stretch out in without bending like a banana. 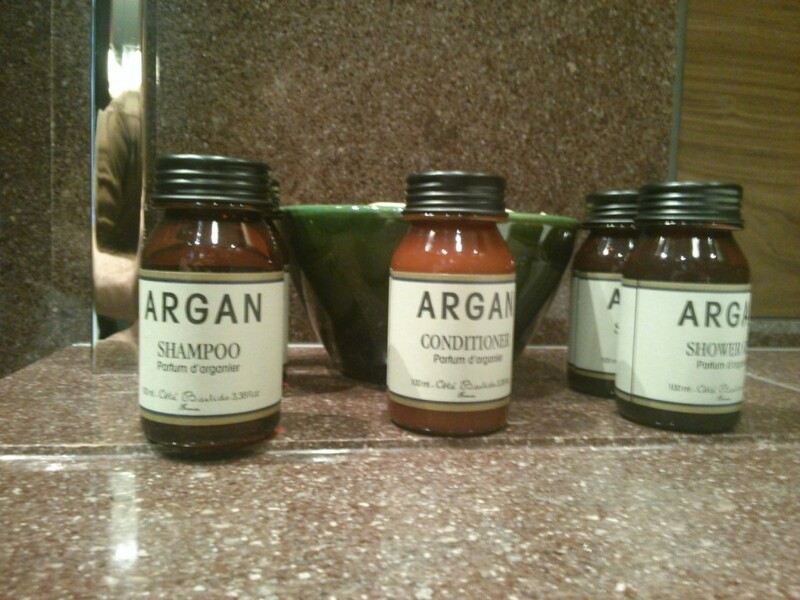 But the amenities are very classy looking Argan amenities from France. 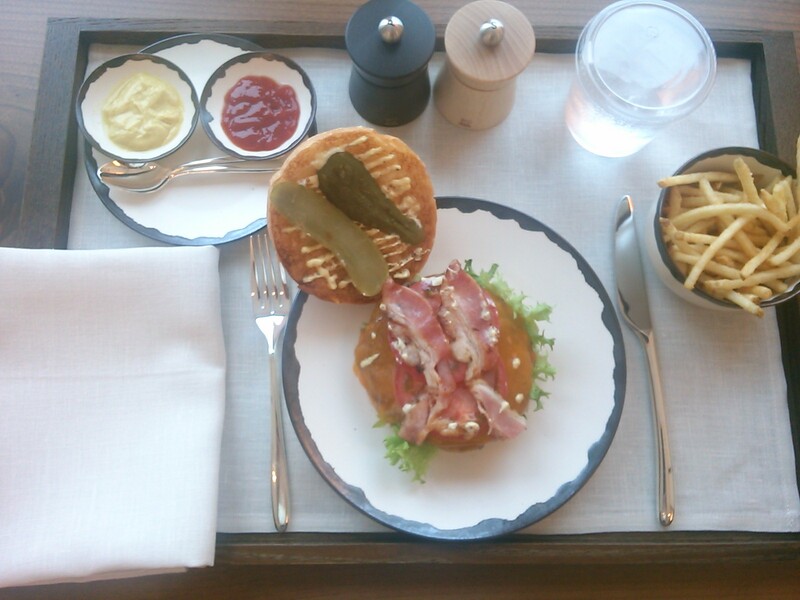 This appears to be exclusive to the Andaz Tokyo suites. I thought they smelled too fruity and sweet, but my wife loved them. Still prefer Aesop. I thought that I got some shots of the other closet, but apparently I did not. Sorry about that. You can kind of see into the area from here. That’s where the room safe is. 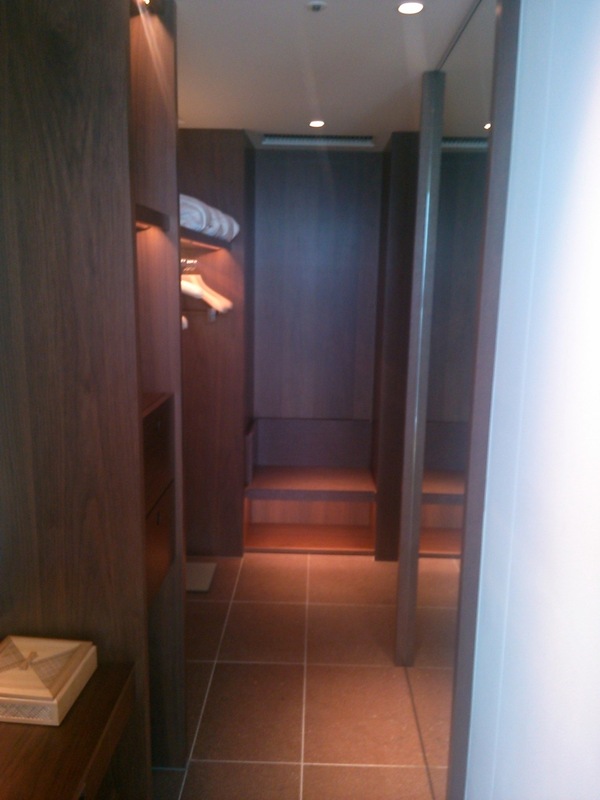 That door you see on the right is the entrance to one of the toilets, the other one being inside of the bathroom (not the room with the bath…proper terminology is confusing for me!) 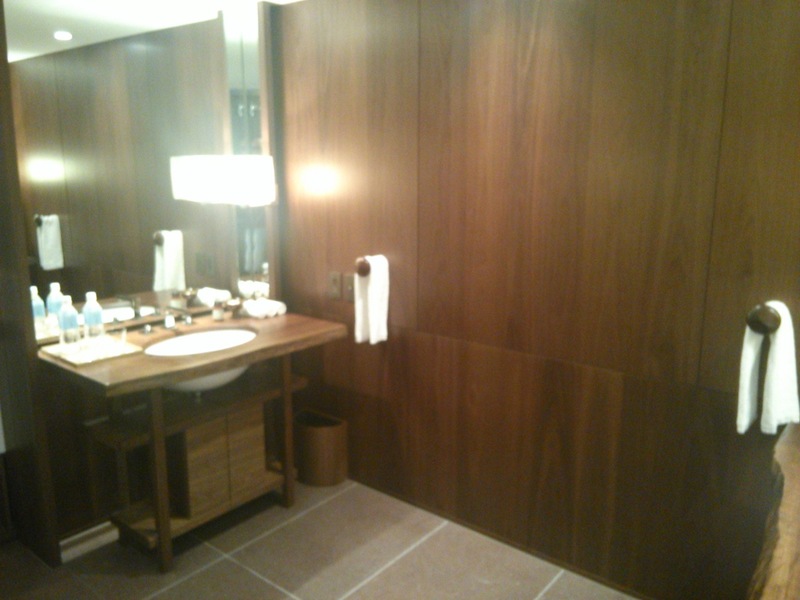 Unfortunately, I did forgo getting a decent picture of the toilet room to instead make the funny observation of the opposite mirrors extending past the sink and all the way to the floor! What am I supposed to be checking down there? 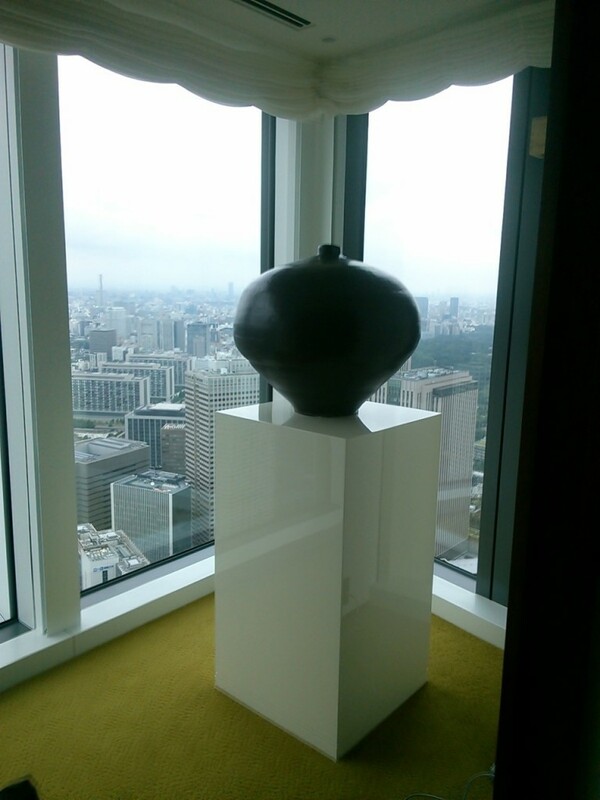 This was a city view suite. 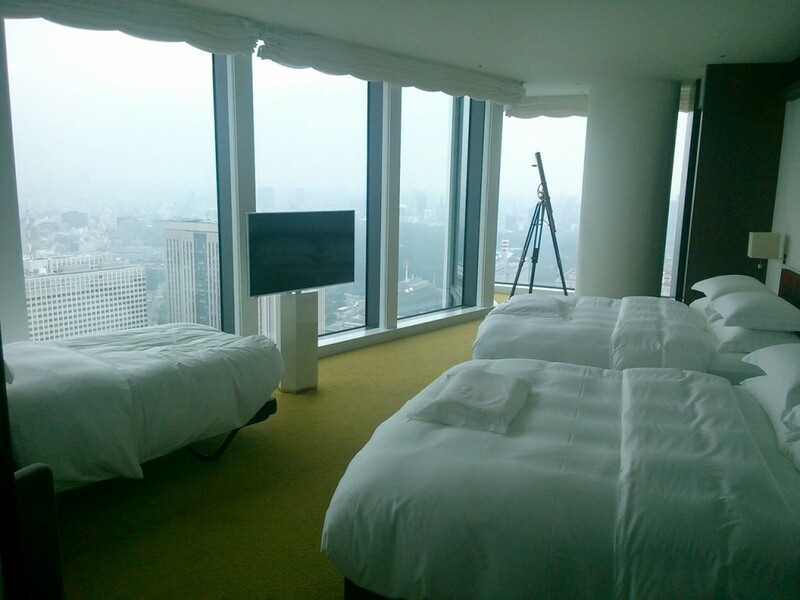 The bay view suites apparently run about 50,000 yen extra, and I’m not sure that the room itself is any different. 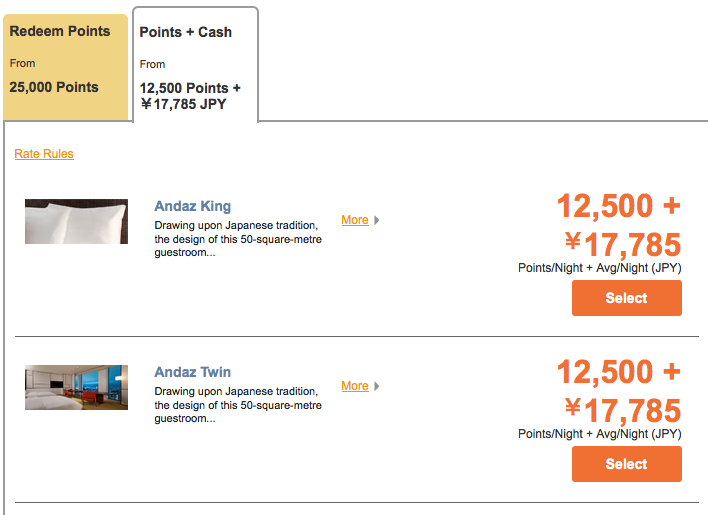 If I had to choose, I would probably go with the bay view, though I certainly wouldn’t pay an extra 50,000 yen for the privilege. 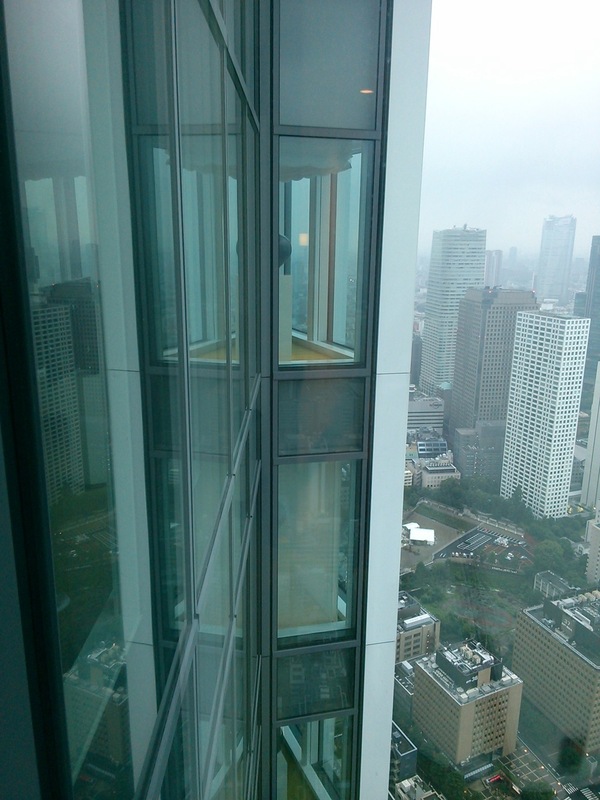 Besides, nothing looks bad from 50 floors up. Given that this suite has so many windows, it’s no surprise that there’s a completely different feel to it come nightfall. This giant whatchamacalit looks even more magnificent with a dark background. And if you’re in the suite come eight o’clock, then you’ll get good use out of your telescope, catching one of several nightly fireworks shows from the far away Tokyo Disney Resort! If you could hear them, it would probably be at least ten seconds after the actual blast. 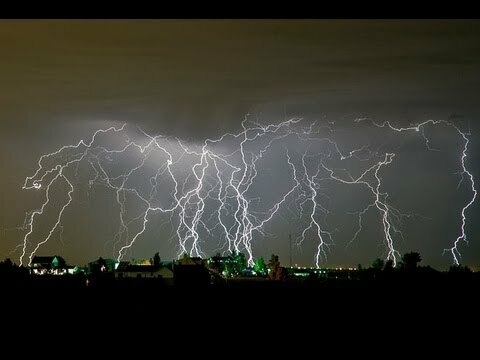 We were extremely lucky on Sunday night to see some even more impressive fireworks in the form of a lightning storm. Watching dozens of streaks of light fly all around us hundreds of meters in the air was one of the greatest experiences of my life. I wish I could promise such a view to everyone. Not a picture from that night, but I swear that one of them looked a lot like this. And when it’s time to sleep, the blinds do a good job of blocking out the rest of the world. 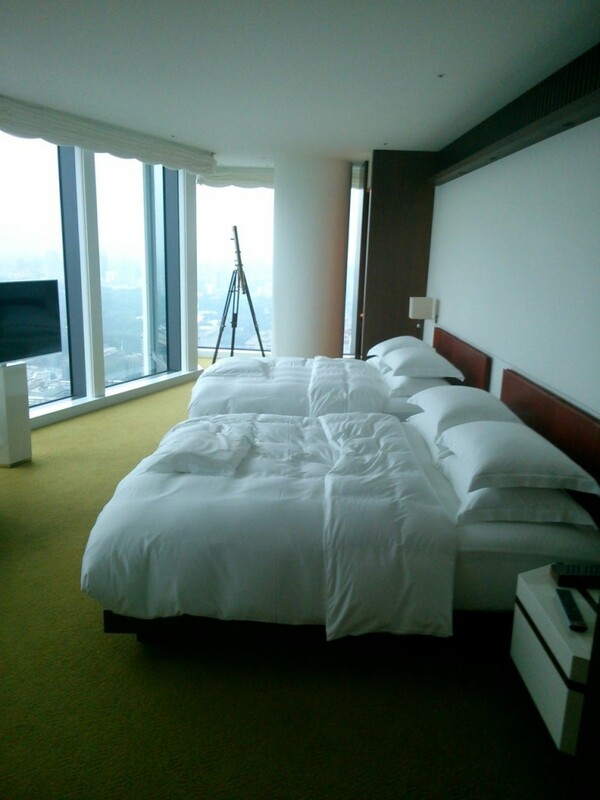 I found this bedroom to be, in all ways, much more soothing than the regular Andaz room’s bedroom. 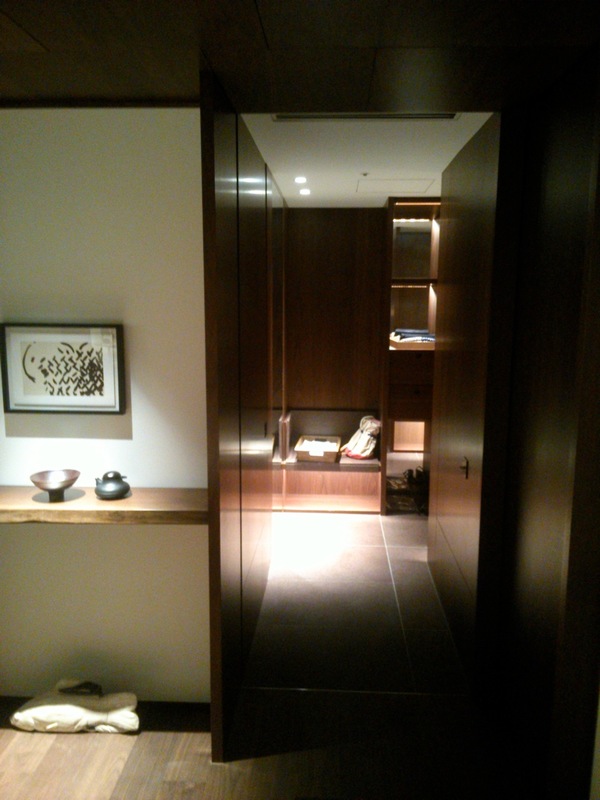 All in all, I think that this is my favorite of all of the suites of all of the Tokyo Hyatt hotels that I have experienced. 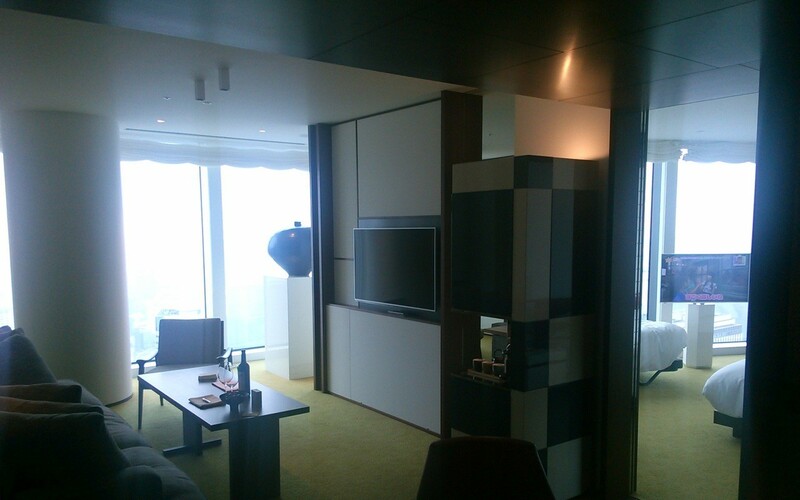 Even the Atrium Suite. 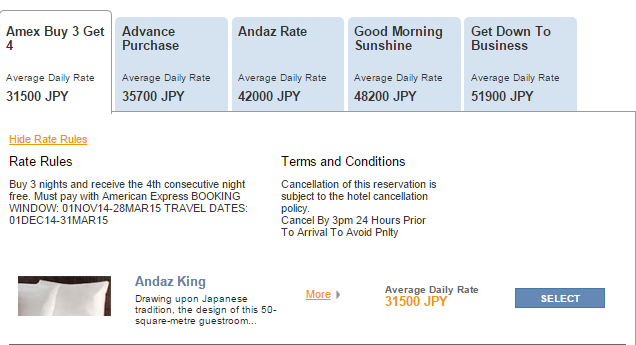 That said, I will not be paying over 200,000 yen a night for the privilege going forward! 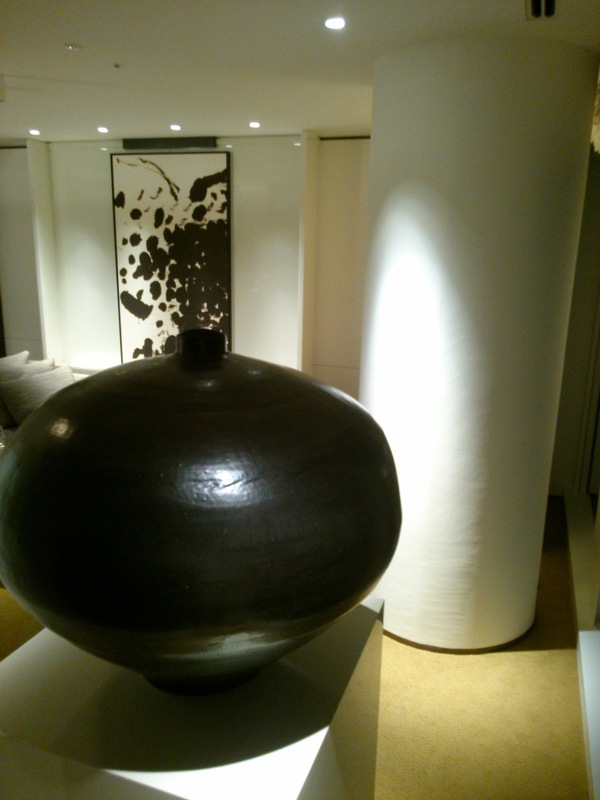 Having a more relaxed two night stay with my family helped me to form a much more well-rounded overall view of this hotel. I do intend to revisit my previous review with what I have learned on this trip in the very near future. 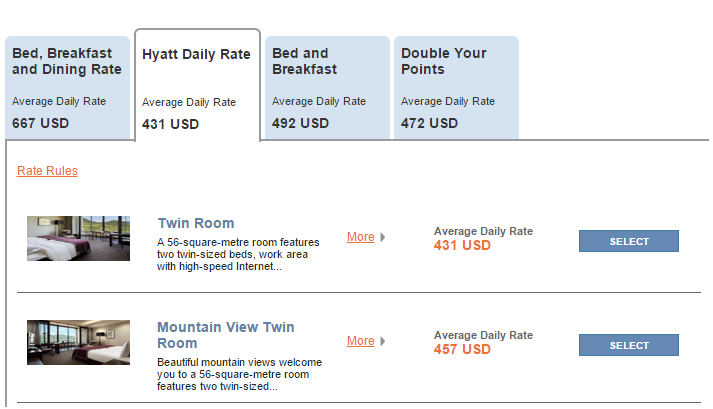 But what I can say right now is, if you were lucky enough to get a Diamond Suite Upgrade for this hotel, make sure that you do not pass up the opportunity!